It was "Anchors Away" for Charlotte Motor Speedway and Mission 600 on Thursday, as Coca-Cola Racing Family driver Denny Hamlin made a pit stop at Naval Station Norfolk for an interactive tour of the USS San Jacinto. During his visit, Hamlin met with sailors and toured the 567-foot-long guided-missile cruiser - which fired the opening shots of Operation Desert Storm and, more recently, provided support to Hurricane Irma relief efforts last year. Hamlin, a Virginia native, participated in a ship handling trainer simulation, which gave the veteran driver an in-depth education in maneuvering a warship at sea. Hamlin also took part in a weapon-firing training scenario and launched a simulated Tomahawk cruise missile from the USS San Jacinto's combat information center (CIC), which serves as the tactical command center for long-range strike capability in battle. "It's amazing how fast things happen here and how well everyone is trained," Hamlin said. "I can't say enough about representing the military at the race track. Seeing the sailors out here who are protecting our country is amazing to see. I got to take the helm and shoot a couple of missiles, which was awesome, but really for me it's about honoring these guys and seeing the work they put in to continue to defend our freedom. This is the ultimate display of teamwork if there ever is one. You see everyone working in sync and they're trained in all sorts of things in case chaos breaks loose. It's great to see the teamwork they put in and it's something the race teams look at and say, 'How can we make ourselves better?' based on what they do here. "There's so much work and effort that goes into defending our freedom. For us, in NASCAR, we do a great job of paying tribute to the military and really nothing is like what Charlotte does on Memorial Day weekend. The Salute to the Troops is amazing and so is the Troops to the Track program. All you have to do is go to the garage and see all the American flags hanging on the pit boxes and haulers to see what the military means to us." Captain Dennis Farrell, the commanding officer of the ship, and its crew of 334 sailors hosted Hamlin, who received a USS San Jacinto sailor's ballcap and an American flag that flew on the ship to commemorate his visit. He took the helm on the bridge, where sailors navigate and maneuver the ship. Hamlin also donned head-to-feet firefighter gear and went through a fire training scenario. Hamlin's visit marked the first of the year for Mission 600 with Charlotte Motor Speedway in conjunction with the Department of Defense. 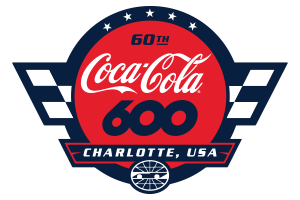 Mission 600 incorporates all five branches of the U.S. Armed Forces with Coca-Cola Racing Family driver trips before the historic 60th running of the Coca-Cola 600 on May 26. The trips will also serve as a platform to support the #KnowYourMil initiative. The Coca-Cola 600 also serves as the opening for the NASCAR Salutes initiative. In a 600 Miles of Remembrance tribute, every race car's windshield will carry the name of a fallen serviceman or servicewoman. Hamlin's windshield will carry the name of U.S. Navy Ensign Sarah Mitchell, a native of Feasterville-Trevose, Pennsylvania, and Virginia Tech graduate who was stationed aboard the guided-missile destroyer USS Jason Dunham (DDG 109) which is also stationed at Naval Station Norfolk. Mitchell passed away in July of 2018. "It'd mean a lot to me (to win with her name on the car)," Hamlin said. "Obviously, this is a special area for me since I grew up racing in this area. Nothing would make me prouder to represent (Mitchell) and her family than being in Victory Lane at the Coca-Cola 600. That's a big one on my list I'd love to check off. I've finished second there a few times. Getting a win is certainly high on the priority list, but the most important thing is we're out there paying tribute to our military." Along with Mission 600's thrilling build-up to the Coca-Cola 600, thousands of troops will join fans in the race-day festivities, which will include static military displays and interactive showcases in the Fan Zone. Additionally, 600 troops comprised of members from all five branches of the U.S. Armed Forces will be on the frontstretch during pre-race activities. Through the speedway's "Patriot Partners" program, race fans or corporate customers can buy a ticket for a member of the U.S. Armed Forces for just $25. Tickets will be distributed to active-duty personnel and their families through the USO.